After weeks and weeks of working way past midnight editing my 2nd book, I am finally taking a much deserved vacation. I am coming to India on a visit. YAY! I can't wait to get there! Since my first book 34 Bubblegums and Candies went on to become National Bestseller, Crossword Pune wanted me to do a book discussion / book signing session. I have been getting a large number of mails from people, saying they want to meet me when I come to India. I really wish I could meet you all. I connect instantly with anyone who has liked my book, simply because the book was not really a book. They were bits and pieces of my life, not really intended for publication and they were totally from the heart. Each and every word in it is true. Besides, it was written to overcome the deep grief of losing my dad, and the book was dedicated to him. The book is very special to me, indeed. So naturally, the people who write to me, telling me it moved them and they loved it, almost always become my friends. I will have only limited Internet access and I will not be updating my blog or replying to mails till I get back on 21st. See you when I get back, if I don't see you in India! Life is really short. Stay Positive. PS: My 12 year old son clicked this picture of me a few days back. I love his shots of me. He always manages to capture a mood and each of his pictures tell a story. Click here to see more of his photos. Have a lovely and safe trip. Have loads of fun. See you when you come back ! 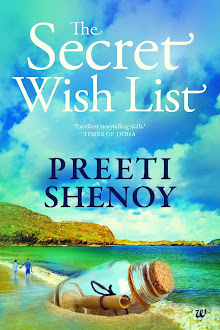 Hey Preeti, Have a great vacation and once again hearty congratulations on your book becoming the national best seller. I wish I could get hold of it and read it soon. take care all of you and God bless. I wish I could meet you once. Have a great vacation in India! are u cmg to bangalore ??? Enjoy your trip and wish you safe travels! I wish Kolkata was one of your destinations...I would have loved meeting you. Yaaay on the book signing and even bigger YAAAYYYY on the bharat darshan and friends. And btw, your son has a gift! Just signed up for your Facebook page!! I’m already following you, but wanted to say Happy Summer! Stop by my blog when you are able. 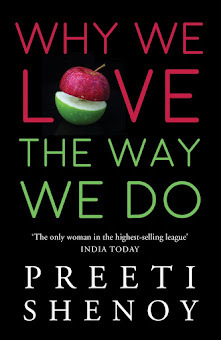 Welcome to India, Preethi. Is secunderabad on your itinerary? oh..how i wish it was a weekend...coz its very far frm my workplace and the snap your son has clicked is really good!! he has a good photography sense! Nice blog, your words seeem to come from the heart.I am sure I will like your book. When is your second book coming ? Hi :) which part of Kerala are you visiting?